Food truck out of Bethel Ohio, looking to stuff your face with delicious soups and sandwiches! KCBS competition BBQ. We are a professional team who has decided to share our award winning BBQ with our fans. Food Truck French-American cuisine gluten-free! Email: [email protected] Ph#513-515-1540 - Gourmet Grilled Cheese-soups, salads...peace and love. Serving up authentic Windy City food everywhere we can! We serve various flavors of our gourmet Ices in 2 sizes. FLAVOR PUNCH FOOD TRUCK: "Bringing Good Eats to the Streets"
Funnel Vision sweet tooth concessions are bringing funnel cakes to the next level. Our gourmet cakes are sure to WOW at every event. Suburban Cuisine, your favorite foods done right! Welcome to the home of whole-hearted coffees. We're a mobile coffee venture serving the Cincinnati, OH area. We serve the freshest, healthiest, most delicious Mediterranean and Lebanese food. Kabobske is simply Mediterranean. Serving Tropical Shaved Ice from the world's most unique entertainment vehicle! We are the perfect fit for any event that involves FUN or FUNDraising. The best street food of Paris. Authentic French Galettes and Crêpes made to order. A bientôt. Welcome to the official twitter page of Maui Wowi Cincinnati. Try our rich Hawaiian Coffees and Smoothies to be carried away to your own tropical paradise. Cincinnati's premier shaved ice truck. Various sizes and delicious and ever changing flavors! Good for any event you have and we love to give back to the community! Keep in touch with us twitter and facebook to find out where we are pimping the pork !!!! We look forward to bringing our classic American foods to your local fundraisers, tournaments, graduation parties and other community events! Smoothie truck delivering healthy and delicious smoothies and snack products! [email protected] / 513-515-1540 Franks, Sandwiches, Homemade Toppings, Fortune Tellers. We change lives. We offer Southeast Asian-style food such as tacos, bahn mi, pho, and much more. Come check us out! Slice Slice Baby is a Cincinnati area food truck specializing in pizza by the slice! We also cater! Snowie in Cincinnati! We have 80 amazing flavors for our gourmet snow cones at our Snowie kiosks and Snowie Buses. We also offer catering and event options! all-natural handcrafted ice pops in amazingly unique flavors. 3 seasonal retail storefronts, events, wholesale, catering. serving into people great food. Specializing in Cincinnati-style chili, The Chili Hut unapologetically exudes hometown pride. After all... It's ALWAYS chili in Cincinnati! Italian Style Food with Homemade Pasta and Sauces. We are available for festivals, events, catering, weddings, corporate functions, birthdays, lunch and dinner events.... we can accomodate almost any type of function you have in mind. Cleanest Food Truck on the Planet!!! The Waffo Experience from schweeet to savory! You'll think their mighty tasty! 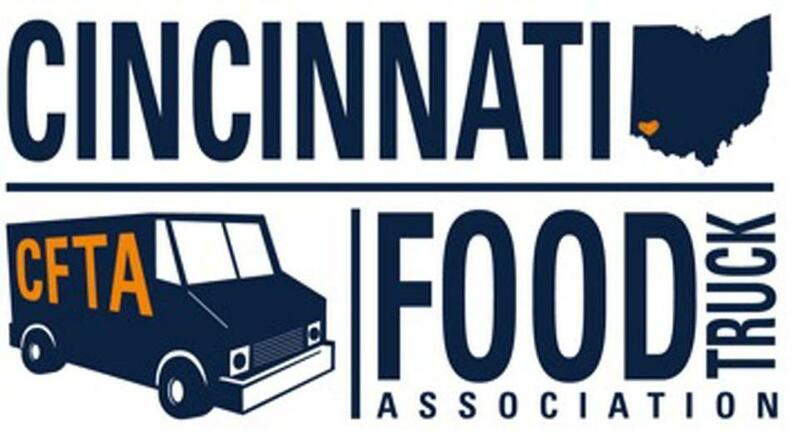 Cincinnati Food Truck catering all events.